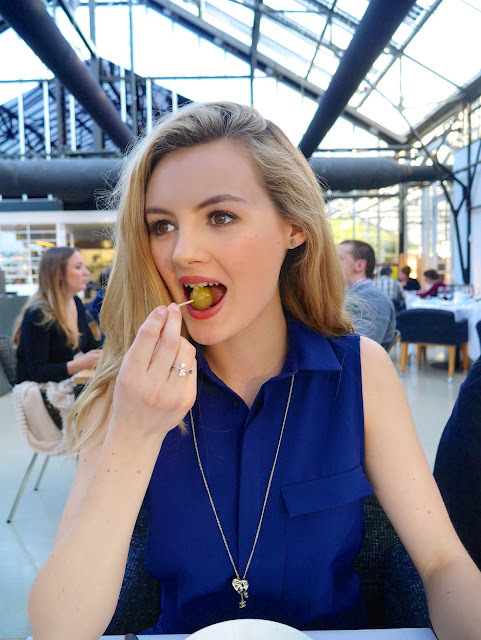 I recently had an exquisite meal in a greenhouse – now that’s not something I get to say everyday! I was pleasantly surprised with the food on offer in Amsterdam. Options are normally relatively limited to me in European countries because of my plant based diet – it’s all about the cheese and fish wherever I go! But Amsterdam had so many restaurants and cafe’s to choose from that I had no problem at all finding healthy, vegan food. 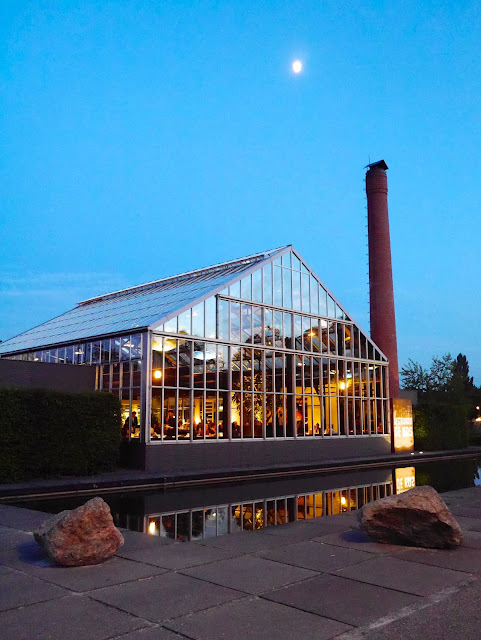 The most notable place being Restaurant De Kas; a restaurant in a greenhouse. Literally. It has got to be one of the best dining experiences I’ve had. The structure of the glass building is incredible and the interior is decorated perfectly. Oh, and incase you’re wondering, no it wasn’t boiling hot in there! The food on offer is all fresh and local produce – all the vegetables and herbs are grown either on the restaurants’ own farmland or in the greenhouse itself. It’s not a vegan or vegetarian restaurant but they were more than happy to accommodate for me. And the best part? There’s no menu. Whatever is in season or is readily available is what you will be eating that day – it changes daily and everyone eats the same set courses (unless of course you’re difficult like me and they have to change it up a bit!). We had three starters each, a main, a dessert and then tea and biscuits. It sounds like a lot of food but the portions were perfectly sized – not too big, not too small. To start things off we each had cauliflower soup with mushroom and hazelnuts. Next we were given the next two starters. A plate of grilled white and green asparagus with morel mushrooms and a grilled vegetable salad. For the main event, Marcus had plaice and grilled fennel, while I had grilled fennel, beetroot and bulgur wheat with a cucumber puree. 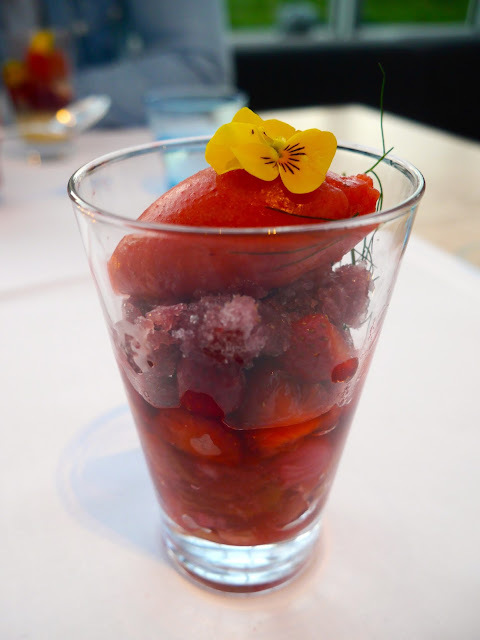 The dessert was delicious – layers of strawberries and rhubarb with champagne ice and sorbet on the top. To end our evening we ordered some fresh mint tea (we’d had it in almost every cafe, bar and restaurant in Amsterdam!) with a small plate of biscuits and dark chocolate. We were also invited to have a walk around their real greenhouses where the vegetables grow. There’s something quite refreshing about being in a restaurant eating incredible food made by the chefs using ingredients that were growing only a few feet away! If you’re in Amsterdam looking for a place for a special, unusual dining experience check out this place. I had such a wonderful evening at this magical hidden gem.